Hi, Adam here with the new DS2213 strip-cut shredder from Swingline. Choose a shredder that is more than just tough. The Swingline DS2213 strip-cut shredder is the right choice for quality and value. The sheet capacity is 22 sheets. And the waste bin holds 13 gallons of shreds. It can also shred CDs and credit cards. Non-stop jam free technology delivers hassle free performance. The continuous duty operation lets you easily power through the biggest jobs. And the Swingline DS2213 is durable, reliable, and designed to withstand heavy long term use. They are even eco-friendly by means of an energy saving power safe mode with auto wake up, and paper bags for recycling. The DS2213 comes with a lifetime warranty on the cutting blades and a 2 year warranty on the machines. These features and more make the DS2213 the right choice for your security, power, and productivity shredding needs. 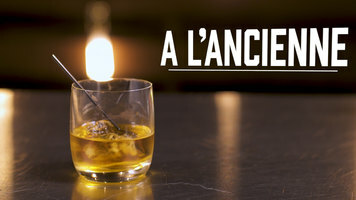 Create a signature A l'Ancienne cocktail with these easy steps! 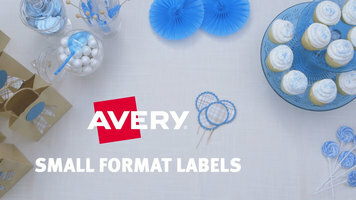 Use Avery small format labels to customize a variety of projects! They're perfect for adding personal finishing touches to anything you may be working on. 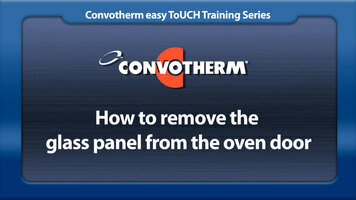 This simple tutorial will give you instructions on the proper removal and cleaning techniques of the glass panel on your Cleveland Convotherm oven.